What a year it has been. From Michael Jackson’s tragic death and “This Is It” the movie, to albums from the biggest names in music of the past decade. There were tons of songs to choose from in writing my top 25 songs of the year list. Here’s what I came up with, what are yours? 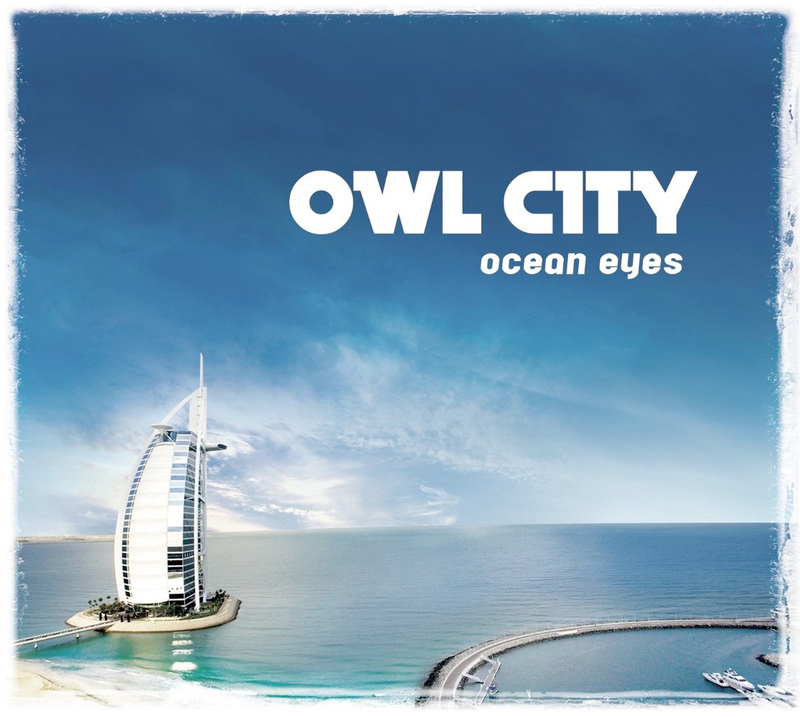 Fireflies, Owl City: A song of the year has to completely fill each aspect of our lives. 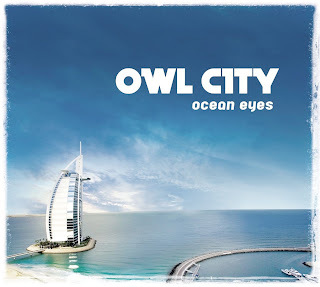 2009 introduced us to Owl City and the amazing production of Adam Young. His debut album “Ocean Eyes” featured this single and the single has become both critically acclaimed and publicly loved. I Want You To, Weezer: Finally back and making great music, Weezer spent much of the summer touring with Blink 182 on their comeback tour. I first heard this song at the show and have since come to realize this might be the best song the band has released in their generation-spanning career. Boom Boom Pow, Black Eyed Peas: The breakthrough album of the year produced some of the most unique material in 2009. Long before “The E.N.D.” was released the hype machine went to work and when when it hit the shelves fans already new every single word to the most catchy song of the year. Whatcha Say, Jason DeRulo: Interesting to me that this song that has been made famous by Jason DeRulo borrows both its title and chorus hooks from Imogen Heap and her song “Hide and Seek.” As I have always said branding is everything and it turns out that DeRulo was able to get this song to the next level. Regardless, there is a great balance between Heap’s amazing musicality and DeRulo’s R&B style. Already Gone, Kelly Clarkson: Returning us to a place we used to know in the world of Clarkson, this song is a classic example as to why she has become the largest artist in “American Idol” history. Party in the USA, Miley Cyrus: I can hear the boos already. Regardless of weather you like her or hate her, Miley Cyrus’ single was one of the best bubble gum pop songs in recent memory. Also, it is interesting to note that the song was loved by men at an alarming rate (including me). Paparazzi, Lady Gaga: An album with so many singles can be a good or bad thing. It was a good thing for her. Lady Gaga’s 2009 was very generous as she continued releasing singles from her debut album (“The Fame,” 2008). The best part about releasing so many singles is that there something for everyone and the most musical song from the album was my pick. 3AM Spanish, Hockey: By far the most unknown song or band on the list, Hockey released “Mind Chaos” and this song is a pure song that pairs incredible hooks with great lyrical runs. She Is Love, Parachute: Every year has its ballad. This year’s comes from Parachute.Very few songs can be universally embraced by both indie rock fans and pop slaves but this one seems to bridge the gap. Good Girls Go Bad, Cobra Starship: Arguably the biggest song of the year, Cobra Starship finally made a name for themselves in the mainstream pop world with a little help from Leighton Meester (Gossip Girl). The song was played at parties, clubs, venues and bars alike and certainly given the band a platform for the future. She Wolf, Shakira: In a year filled with great party songs Shakira had to contribute. This single had one of the most memorable and mocked music videos of the year, and just so happens to be a really well-written and produced song. It is also worth noting that Shakira had been missed and it was great for her to re-emerge with this song. Daylight, Matt & Kim: This was that song. The song everyone knew only by the opening riff. It was played on commercials and in television shows as it rose to the top of many charts. If you are reading this thinking you have not heard this song then think again. Before The Lobotomy, Green Day: “21st Century Breakdown” gave us Green Day’s second rock opera of the decade. Although songs such as “21 Guns” were incredible, this song really showcased soft melodic versus and heavy hitting choruses, everything the band has to offer. Old Time’s Sake, Eminem: It is not often that Dr. Dre performs on a track that isn’t good. Eminem tapped the famed hip-hop star to produce and perform on this song located towards the end of “Relapse.” The production quality and catchy versus in this song make for a great single. Evacuate The Dancefloor, Cascada: She did it again. It seems that with the flick of a microphone Cascada can make any American hit the dancefloor. Five years ago it was “Everytime We Touch” and she returned in the same manner. One of the best dance songs in recent memory, anyone who entered a club in 2009 probably heard this track. New Perspective, Panic at the Disco: There are two reasons that this song stands out in my head. First is that it continued Panic at the Disco’s sound from “Pretty Odd” the 2008 release which I adored. Second, this will most likely be the last song ever recorded with the bands original lineup as two members left the group shortly after the song was released. I Gotta Feeling, Black Eyed Peas: After “Boom Boom Pow” I stated that no other song from the album could achieve the success of the first single. Boy was I wrong. This song became became at least as big as the first one if not bigger. Another huge club song from 2009 Black Eyed Peas proved once again why they had one of the best albums of the year. Toes, Zac Brown Band: Although country music doesn’t usually spark my interest, this song is something special. Taking a page out of the book of Jimmy Buffet, Zac Brown Band are able to fuse country and island rock into a perfect blend of redneck and corona commercial. Don’t Stop Believin’, Glee: A cover? Yes. Although it is not something I condone, this song had to be the exception. After premiering during the final weeks of the spring 2009, “Glee” came into the fall and dominated the broadcast television world. The songs covered the iTunes charts and this song, made famous by Journey might be my favorite cover of all time. Replay, Iyaz: I’m not quite sure what it is. Something about the chorus of this song makes me really happy about music. A very modern song featuring lines about iPods, Iyaz created an amazing hip-hop song that rested squarely on his vocal stylings. 1901, Phoenix: One of the most catch songs of the year, Phoenix broke into the pop music circuit sometime in the fall of 2009 and hasn’t ever gone away. The catchy element of this song is amazing making you hum along with the incomprehensible lyrics. Morning After Dark, Timbaland: I added this song really late, even carving a song 21 into my list. Thing is, I really love this song and although it has only been out for less than a month, it has already become a huge song for the year 2009. Looking back from 2010, this might be much higher on the list. You Belong With Me, Taylor Swift: The second country song on my list of the top 25 songs of 2009, Taylor Swift has made a magical run in 2009. From her VMA fiasco with Kanye West to the top of both the country and pop worlds, Swift has become the top country artist out there. Down, Jay Sean: After initially leaving this song off of this list I corrected myself, bringing Jay Sean along for the ride. One of the hottest dance and hip hop tracks of the year, Jay Sean is one of the largest breakout artists of 2009. Tik Tok, Keisha: Helped by the huge popularity of Lady Gaga and the brand new style she has inspired, Keisha’s party song “Tik Tok” blew up in late 2009. With their carefree take on music artists like Gaga and Keisha are proving that you can be a party girl in 2009 while their songs blare over the system. Hello – thanks for what you said here – really well put! Great article. There’s a lot of good information here, though I did want to let you know something – I am running Mac OS X with the circulating beta of Firefox, and the design of your blog is kind of quirky for me. I can understand the articles, but the navigation doesn’t function so good.